Our School is located in Georgia's Historic High Country Region. Our facilities are extremely well maintained and clean. Lodging, diner, stables and WiFi all included with tuition. Students are welcome to bring their own horses to trim & shoe during their training. There is never a shortage of horses brought in by horse owners to work on! Local pasture boarding for students' horses is available nearby with plenty of public riding trails, camping and horse events in the area! Sleep-in horse trailer camping is permitted in the parking area. Our area has horses of all varieties and breeds! There is always an abundance to serve! Georgia's weather is pleasant year round! 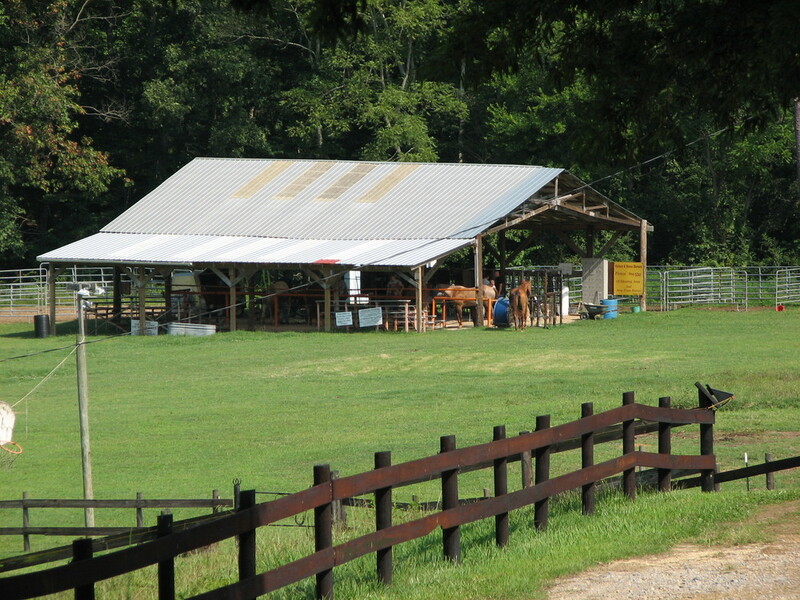 We are located in a peaceful rural setting but are only minutes away from I-75 and major towns. More people live and work in the eastern U.S. than in other parts of the country! Arial view of Georgia Horseshoeing School. Photo taken by Ginger Casey.